BRUSSELS: The EU warned on May 16 that asylum seeker arrivals from Turkey have surged this year and called on member countries to act urgently on pledges of support for the bloc’s border force. The European Commission, the European Union’s executive arm, said 15,457 people had arrived via Turkey on Greece’s sea and land borders through March, nine times higher than the same period last year. But it said the numbers of Syrians and others are still “drastically lower” than before a cooperation deal with Turkey struck at the end of 2016, which Brussels said is still working despite diplomatic tensions with Ankara. “In the last years, important progress has been made both within the EU and with our partner countries,” EU Migration Commissioner Dimitris Avramopoulos was quoted as saying by Agence France-Presse. “However, the situation is still fragile and our work is far from over,” said Avramopoulos. He said 6,623 people had arrived in Spain in the first three months of the year, up 22 percent over last year, though numbers from Libya to Italy had sharply declined. “This is why I call on member states to urgently send border guards and equipment for the European Border and Coast Guard operations,” the former Greek minister said. The European Commission said the EU border agency is supporting national border guards with around 1,500 personnel along all migratory routes. It said the agency is ready to bolster its presence on the Greek-Turkish land border and offered to triple deployments at Greece’s land borders with Albania and the former Yugoslav Republic of Macedonia, where increases have occurred recently. The commission said it is negotiating deals with non-EU western Balkan countries to allow the agency to help them manage their borders. Europe has been coping with its worst migration crisis since World War II, but has sharply cut numbers since its 2015 peak when 1.2 million arrived in the block. Around 1,000 a day arrived in Greece in the summer of 2015. Meanwhile, Turkish security forces on May 16 detained a total of 476 undocumented migrants across the country, state-run Anadolu Agency has reported. 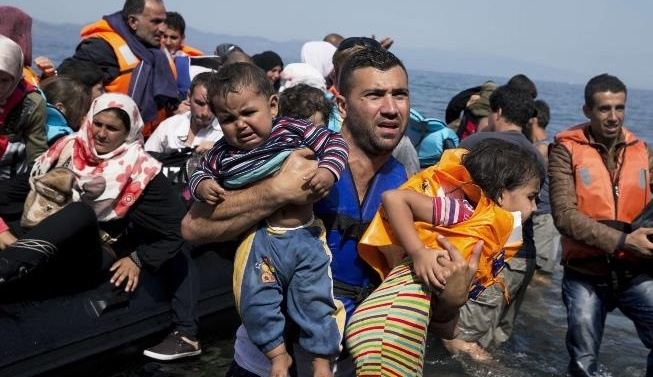 In the northwestern province of Çanakkale gendarmerie forces rounded up 74 Afghans and Syrians in the Ayvacık district, believed to be planning to cross to the Greek island of Lesbos. Separately in the Central Anatolian province of Sivas, police stopped a passenger bus for a routine control on the Sivas-Erzincan highway, and rounded up 14 undocumented Afghan migrants. In the eastern province of Elazığ gendarmerie forces detained 22 migrants after being alerted to the presence of too many people on board a bus along the Elazığ-Bingöl road. Among the migrants were nationals of Afghanistan, Pakistan and Sri Lanka. In the northwestern province of Edirne, security personnel detained a total of 366 undocumented migrants during patrols in the villages of Kemalköy, Bosnaköy and Ahırköy, and the districts of Uzunköprü, İpsala and Lalapaşa. The migrants included Syrians, Algerians, Palestinians, Moroccans, Iraqis, Pakistanis, Afghans, Bangladeshis, and Eritreans.